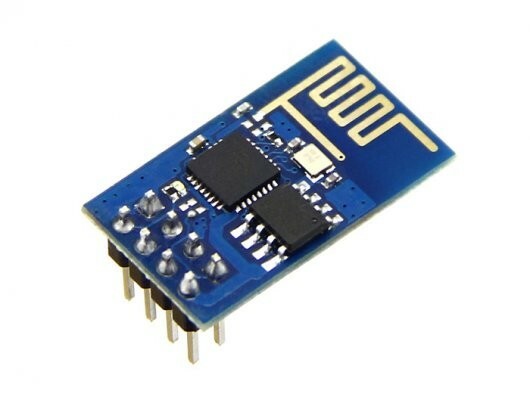 De ESP8266 van Espressif Systems is een chip met WiFi waarmee een complete WiFi toepassing gemaakt kan worden. Of de ESP8266 kan als WiFi netwerkprocessor gebruikt worden voor een andere processor. 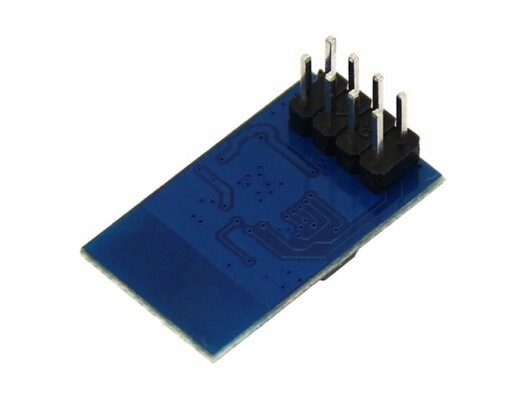 Deze module met ESP8266 heeft een seriële interface op de header-connector uitgevoerd. Een microcontroller kan via deze interface commando's en data verzenden en ontvangen. 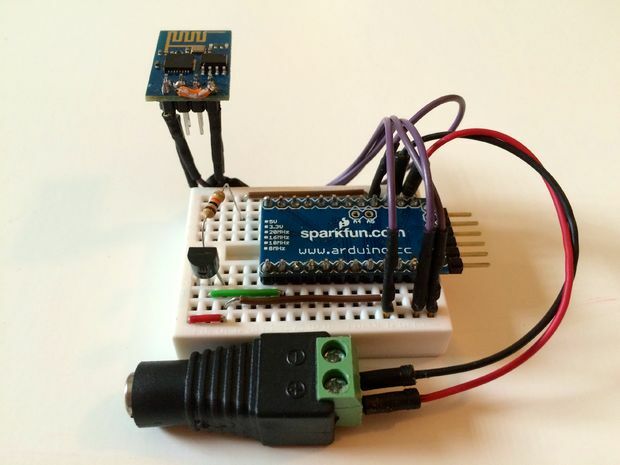 This is a very simple demo using the ESP8266 and Arduino to update a remote server (https://thingspeak.com/) using a digital temperature sensor. This is where things got tricky. I spent a lot of time testing different configurations. 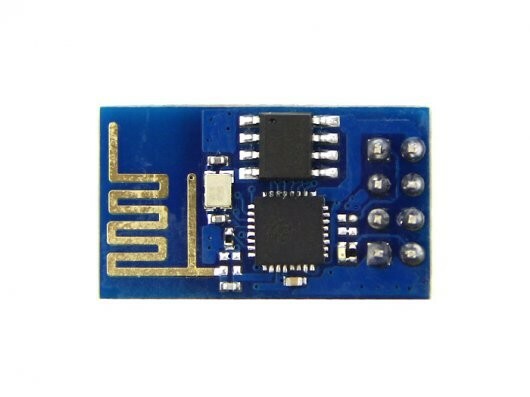 Note that are two version of the ESP8266 going around. The first one has the notification LEDs right next to the board pins. The second one (newer) has the LEDs by the antenna. I have the second one. The best results came when I loaded V0.922 which allowed me to change the baud rate to 9600. Follow these steps to load this firmware. 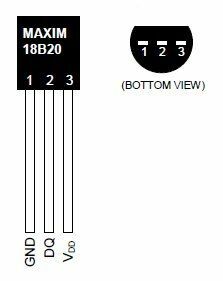 These are the pin connections I used on ESP8266 to USB-to-TTL. I used the regulated 3.3v vcc of the Arduino to power the ESP8266. I know that Arduino vcc 3.3v max is output is 150 mA and ESP8266 will peak at 240 mA. But at the time I had no other regulated 3.3v available. Regular usage for the ESP8266 is at 70mA. 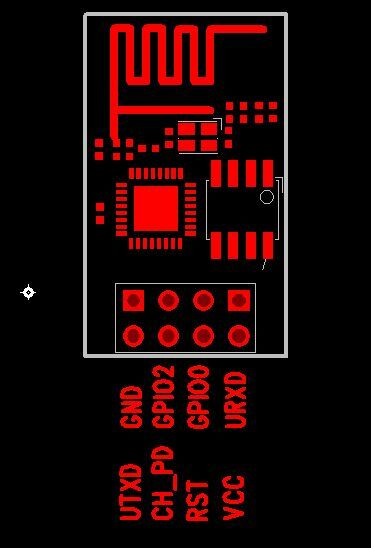 Remember to connect GPIO0 to GND when you are uploading new firmware. After that remove for normal operation. *UPDATE. Once your done testing/monitoring. Load the same sketch without SoftwareSerial Monitor. This gave me better results as stand alone. Now you are ready to start sending data.